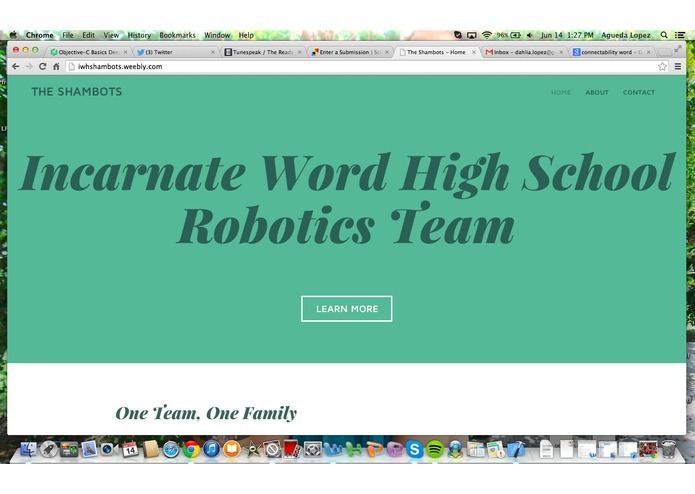 This website is inspired by our school's Robotics Team. We are a fairly new team; we work hard and do well in competitions, but we are still trying to promote our team and get new members as well as put ourselves out there. 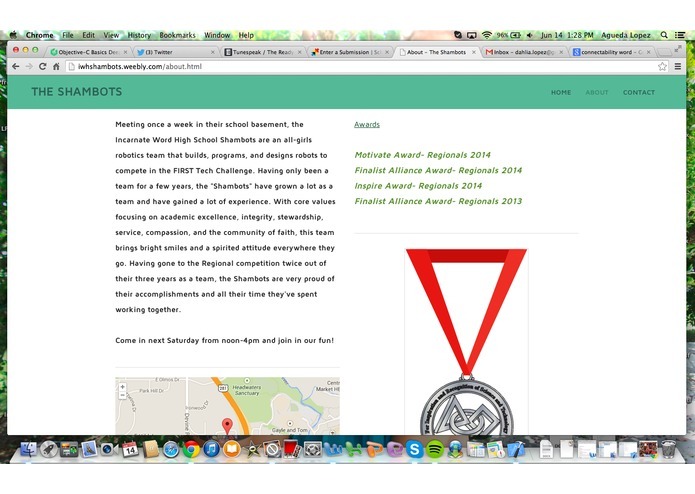 This is targeted towards the students at our school as well as prospective students, because we are always looking for new members and many people are surprised to hear or have never heard about our team. 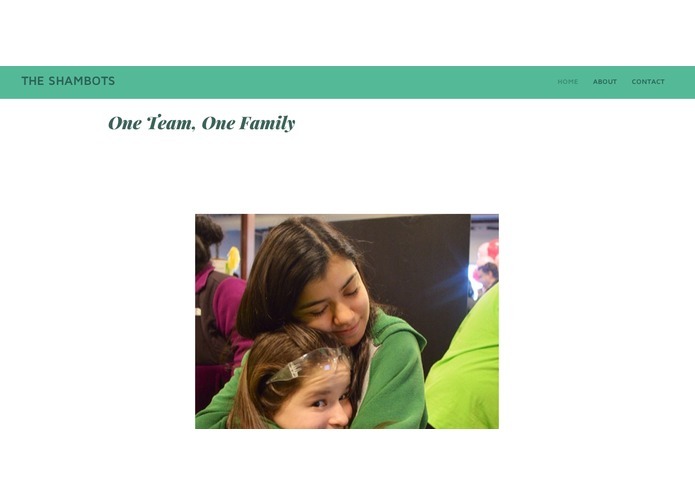 We wanted to connect it with our school's website and ultimately finish creating biographies for every member of our team, that way other students know about us when they visit the website. 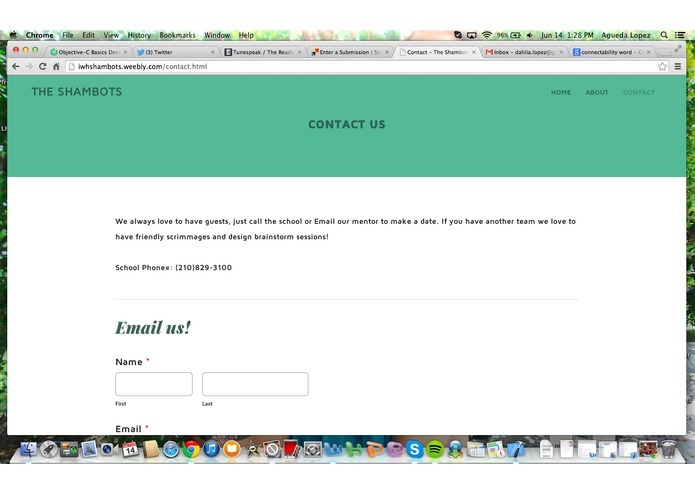 We are proud of the aesthetics and simple, clean designs in our website, as well as how easily it connects to our school's website and contact information. 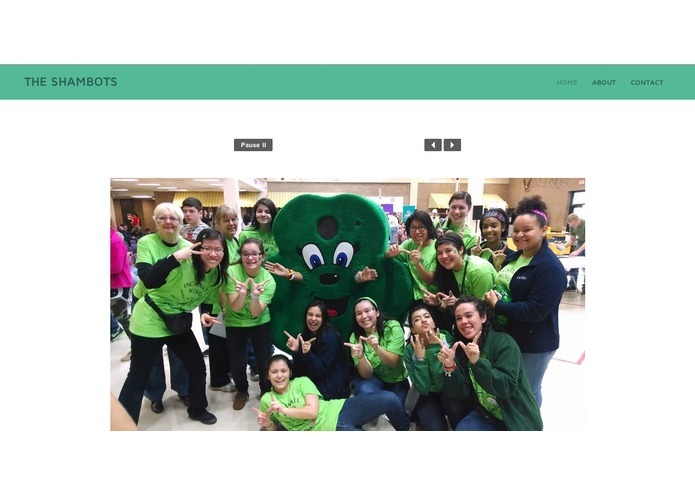 None of us have ever made a website before, and we liked how it was simple and to the point, and it delivers the message of our team in a good way. It is important for us to promote our team, especially because it was during the time in our club meetings that we've learnt the most about programming and engineering.